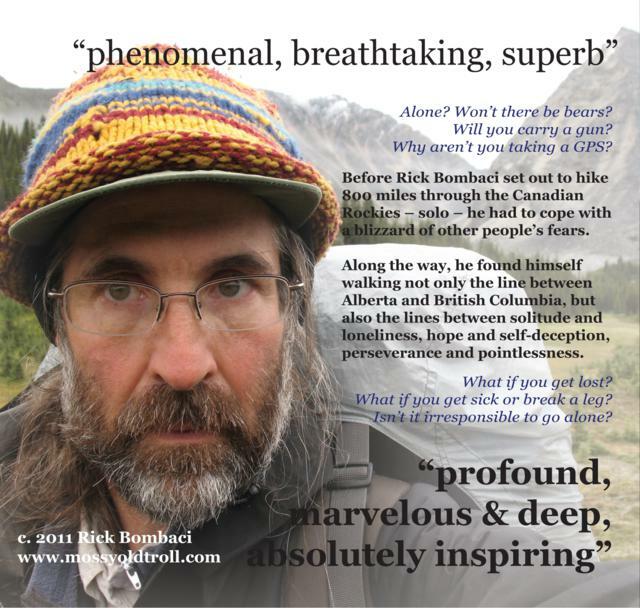 I first met Richard “Amtrak” Alexander somewhere in Vermont, I think, at one of those three-sided shelters that those of us hiking from Georgia to Maine on the Appalachian Trail thought of as home – for one night, anyway. Then it was on, ever northward. He wore then, as always while I knew him, a slight and impish grin as he prepared to deliver his next wickedly funny and devastatingly accurate critique of life’s absurdities. He had no lack of material. In the easy-come, easy-go way of thru-hikers, Amtrak (along with his sidekick, Hayden, a duck tolling retriever) and I crossed paths casually a few times through Vermont, New Hampshire, and Maine, until we found ourselves finishing the trail together after what some called the worst early-season Maine snowstorm in 60 years. 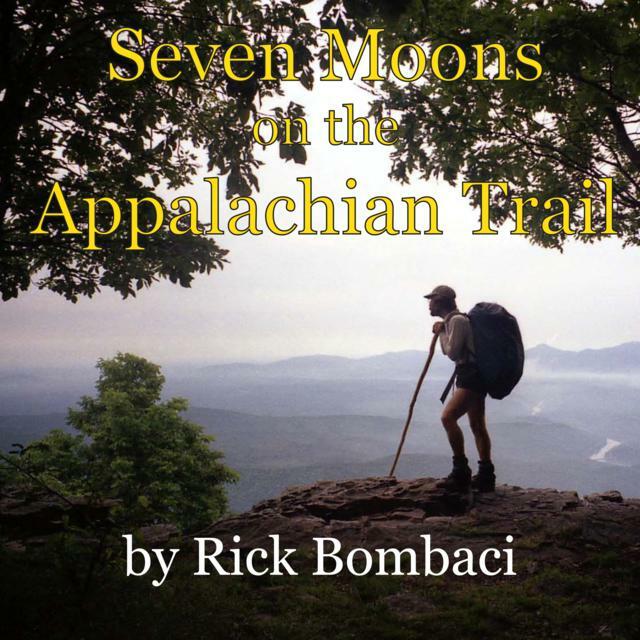 I consider myself fortunate that our friendship continued after the Appalachian Trail. Amtrak came to visit me in eastern Oregon, where we went backpacking in the Eagle Cap Wilderness. And I visited him in Boise, where he lived for a time. Then there was the time he and Dave and I drove up to the Enchantments in Washington, and were stopped by two young and over-zealous policemen on the outskirts of Ellensburg. Eleven at night, a VW bus, three scruffy looking men … what could be surer cause to issue a citation? But, partly because of Richard’s typical coolness under fire and disarming-but-somehow-sneakily-insubordinate charm, the two coppers soon almost bowed to us as they waved us on our way to what was to be a fine autumn hike through alpine granite and golden Western larches. His keenness of observation and appreciation for irony always delighted me. I am sorry to see him go. Here’s to Amtrak, long-distance hiker and fine friend. Richard “Amtrak” Alexander (and his dog Hayden), on Katahdin in Maine, after walking the Appalachian Trail from Georgia, a distance of 2167 miles. October 13, 2000. Amtrak is at the far left in the back row. October 10: Wadleigh Stream leanto. It’s cold. It’s wet. Snug in my bag, very glad I wore earplugs last night, as the din of rain on the metal roof of the shelter is very loud. Not yet dawn, but light enough that I can see some snow on the ground. White stuff, the start of winter, death by hypothermia. As we climb Nesuntabunt Mountain, the snow gets deeper. At the summit, I catch Gilligan and Flipper, who have lost the trail. The woods are lovely, with golden leaves and pine needles falling on top of the snow. We hear and see trees falling or shedding limbs under the weight of the snow. It’s ironic that the leaves, which bring such beauty to the autumn woods, also spell doom for some trees by catching the heavy snow. I end up somewhat dehydrated, for water to drink is somewhat scarce. My feet, however, are soaked. At 3:30 I arrive at the shelter, which is full. There’s a Welshman, two days into the woods, with a broken leg. He tried crossing the stream on a pair of skinny, ice-covered logs and fell into the stream. Amtrak and Walkabout have already got him stabilized. The Welshman’s buddy has walked out for help. A discussion starts about “stop or go”–I choose to stop and waste no time about it, for my body is cooling off. I go up the hill and kick the wet, heavy snow aside, down to hemlock needles. In these dark woods, I’m getting cold very fast. As I pitch my tent, I keep the fly draped loosely over it so that the big drops of rain and snow dropping off the trees don’t soak the tent before I even get it up. I immediately get into my bag. I hear chainsaws or snowmobiles, or both. I venture out, although this requires putting the wet socks back on. Yech. I go down to the shelter, which is all a-bustle with a dozen search and rescue men getting ready to carry the Welshman out on a board. Yoda and Amtrak have splinted the man’s leg so well with pieces of Z-Rest that the doctor leaves it be. The moon shines briefly through the dripping hemlocks. October 11: It requires an act of will to get started in the morning, but I’m up against it. I don’t have the food to hang out; the season has gone too far. I’ll be walking in snow and slush and mud all day. I feel concentrated, serious. I’m tossing about in my mind what it will be like to go up Katahdin, if at all. If the weather doesn’t improve, it won’t happen. I will not go up in whiteout, cold conditions. If the weather clears, it might still be impossible. Two dayhikers tell us the mountain is “closed for the season.” Or I could keep going, up the mountain, park rangers be damned, one step at a time until I can’t go anymore, until I must stop. At Hurd Brook leanto. Gilligan and Yak start a fire, and we all hang wet stuff out to dry. We’re going to stay in the leanto tonight. It’s dark, and we’re packed in – Gilligan, Sideways, Yak, Yetti, Flipper, Godfather, Snowblazer, me, Hayden, and Amtrak. Before we go to sleep, Flipper sings a Dylan song, and Godfather regales us with story after story, putting us in stitches. Gradually, conversation drops off. Hayden does the push-against-you thing to me most of the night. Amtrak snores. During the night I feel bent and squeezed. I sleepily kick Hayden at one point; later, he’s gone. He’s down on the ground and I feel guilty. Amtrak and I urge him back up. October 12: I set out before anyone else and walk through the still cool woods, though it is sure to be a fine day–the sky is blue. 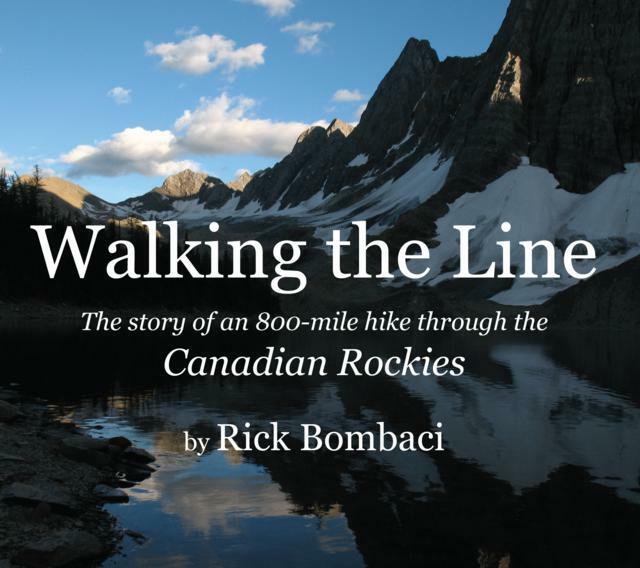 I walk fast and purposefully–I don’t know if I’m excited to get to the end of the trail, anxious to find out exactly what the story is at Baxter State Park, or running away from an emotion I cannot name. At Abol Bridge, my last maildrop, friends have sent me wine, cheese, sausage, crackers, chocolate, and, by special request, six little bottles of rum. Hikers gather and talk, talk, talk about whether the mountain is “open.” Finally, we get out onto the trail at noon – Yak, Yetti, Gilligan, Amtrak, Hayden, and me. The day is warm, the aspen are naked, I walk without a shirt for a long while beside the Penobscot River shining in the sun. We see beaver dams and fresh-chewed white birch. Then we turn up the cascading Nesowadnehunk, with polished humps of rounded granite, winding through the forest, rising toward the mountain. I am quiet, focused, gathering my energy. We meet Soul Man, walking south, but I’m not interested in talking to him–I’m almost in a trance, I don’t want to hear any more stories or cautions. I just want to get to Katahdin. Briefly separated from the others, Amtrak, Flipper and I walk the trail toward Katahdin Stream. A park ranger in a truck stops and questions Amtrak about Hayden. He doesn’t tell her that Hayden has walked the entire way from Georgia. At the campground, I burn my last dinner. In the early evening I walk out into the clearing to regard Katahdin’s moonlit snow-shining slopes and the moon itself, a sliver shy of full, a sliver shy of seven full moons from the trip’s beginning. October 13: Up at the usual 5 or 6. The Aussies with their day packs bid us adieu. Riddler and Amtrak leave next, while I eat split pea soup for breakfast. The ladies are last up; we finally get our unnecessaries stashed just as we see a figure approaching wearing a hunter safety orange vest. We race up the trail into the woods. I don’t know who or what we saw, but we don’t want to stick around for a confrontation. 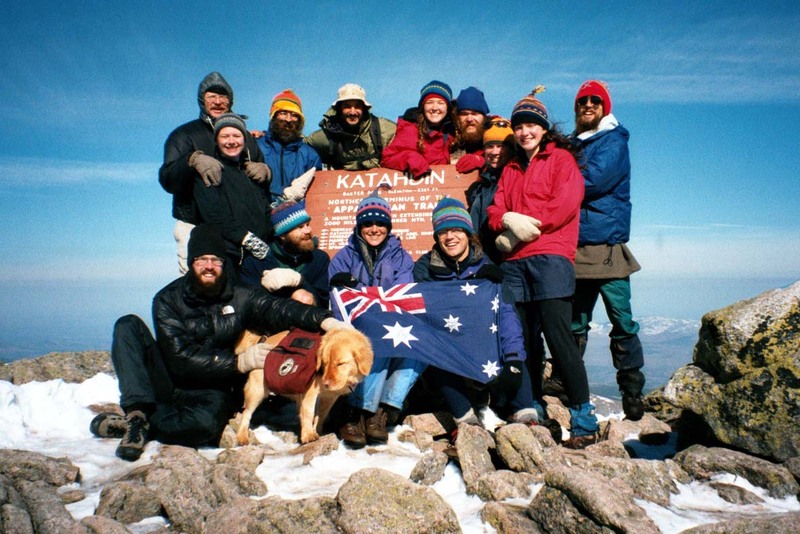 Heading for the summit of Katahdin, we are: the Aussies, Riddler, Yak and Yetti, Gilligan, Peanut Butter, Flipper, Datto, Bear, Frogger, Ziggy, Dog (who isn’t a dog), Mossy Old Troll, Amtrak, and – everybody’s favorite – Hayden, who is a dog. We walk along the flat ground, drifts of snow littering the landscape, making our way with little conversation, each mostly alone with our thoughts, towards the tiny figures already at the final summit just above us. At the top, every single person hugs every other. It’s a joyful and prolonged process. Yak and Yetti cry into each others’ arms. Using the tiny bottles I picked up at Abol Bridge, we do a little rum ceremony honoring Pamola. There’s a brief round of Angeline the Baker, then we share crackers and cheese and sausage and champagne and chocolate all around. We give the celebration full measure–but finally it is time to descend. I lag behind, sauntering in the afternoon sun, letting the “doing of the thing” sink in. It is enormous and puny all at the same time. I take a final gaze at the colored hillsides in light and shadow as the cumulus get pushed across the sky. I fill up on Katahdin Stream water, call out toward the dark hills to the west, and finally, “it is done.” I am ready to rejoin the other world.